Since 1969 AMC MECANOCAUCHO has pioneered the manufacture and design of systems aimed at the reduction of integral vibrations from structures and air-borne noise . 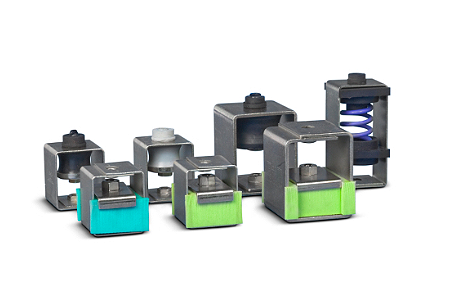 AMC creates comprehensive ranges of anti-vibration mounts based on metal rubber and rubber spring for the effective reduction of structure borne noise. 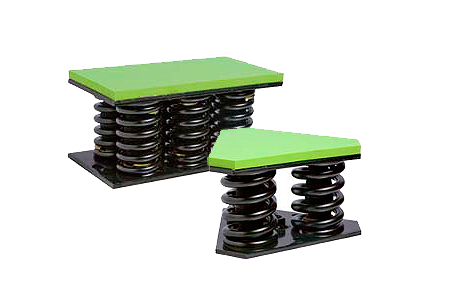 Spring mount is necessary in all machinery, which, by virtue of its design, has reciprocating or rotating parts, creates vibration to some degree through the imbalance of the moving parts. This vibration produced by a machine leads to different problems, such as a reduction in the machine’s useful life through part wear, plus the transmission of this vibration to other non-insulated adjacent structures, giving rise to problems of noise and vibration transmission. It is therefore important to install a spring mount to machinery. Ceiling hanger Akustik+Sylomer® is the trademark of a new solution for the anti-vibration mountings of suspended ceilings or vibrating elements that have to be suspended. They are used for the attenuation of vibrations, reducing structure-borne noise. It's necessary an antivibration mounting because this vibration produced by a machine leads to different problems, such as a reduction in the machine’s useful life through part wear, plus the transmission of this vibration to other noninsulated adjacent structures, giving rise to problems of noise and vibration transmission. 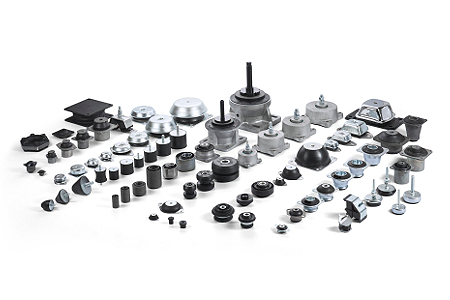 For more than 40 years, AMC MECANOCAUCHO® has been developing the “AMC MECANOCAUCHO®” range of anti vibration mounting which can solve problems like the ones described above in all types of machinery, mobile or static, thus protecting people and the environment from the harmful effects of noise and vibrations.